Through our global health efforts, we are helping to provide anesthesia training and resources to low- and middle-income countries and regions of the world. Globally, about 234 million major surgical operations are conducted each year. In some regions, anesthesia-related mortality is as high as 1 in 150 patients receiving general anesthesia. Safe surgery requires safe anesthesia, which can only be delivered if sustainable, high-quality training and resources are available. 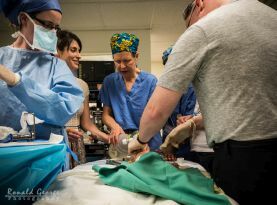 Ours was the first department in North America to offer education and training to anesthesia professionals practising in low- and middle-income countries. Our faculty members have also participated in training missions to Africa and conducted research in Asia, Africa and the Middle East. Through the Canadian Anesthesiologists’ Society International Education Foundation (CAS IEF) program in Rwanda, staff anesthesiologists and residents from our department travel to Rwanda several times each year to provide education, training and support to postgraduate residents and nurse anesthetists. Learn more about the program through the Ikinya video. 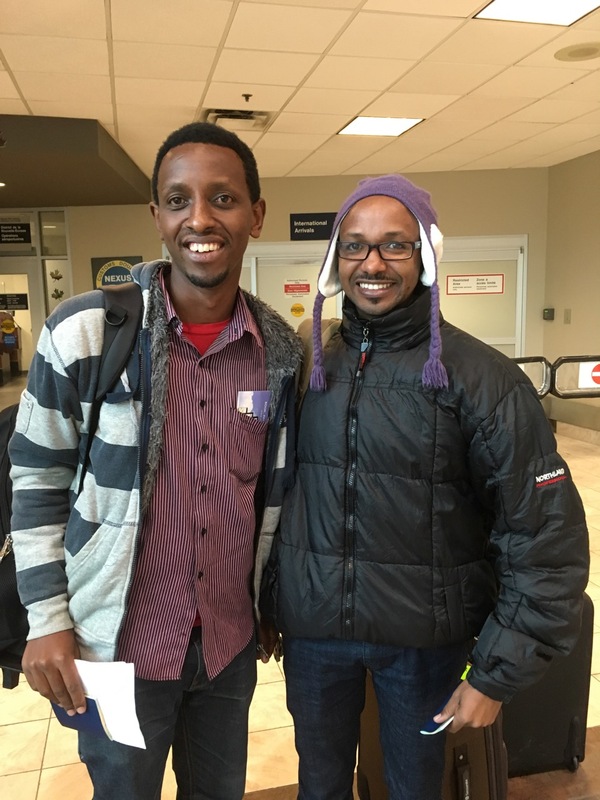 In March 2017, we welcomed two new Rwandan residents, Drs. Eugene Tuyishime (left) and Alcade Rudakemwa (right), to participate in an anesthesia elective. The Department of Anesthesia, Pain Management & Perioperative Medicine offers educational electives to anesthesia residents from the University of Rwanda. The program supports the ongoing partnership between CAS IEF, Dalhousie and the University of Rwanda aimed at developing sustainable excellence in anesthesia in Rwanda. 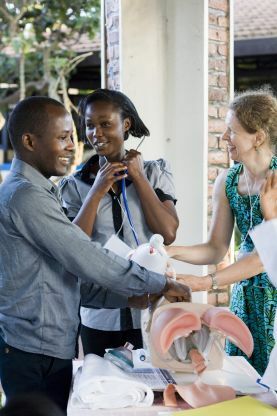 Since 2010, ten Rwandan residents have participated in this program. The Safer Anesthesia From Education (SAFE) Obstetric Anesthesia Course is a three-day refresher course designed to improve maternal care by equipping anesthesia providers with a systematic approach to routine, urgent and emergent obstetrical anesthesia. It was specifically designed to equip anesthesia providers, many of whom work in isolated and under-resourced environments, with a systematic approach to routine and emergent obstetrical anesthesia challenges. The Dalhousie team played an integral role in adapting the curriculum for the Rwandan context and leading the coordination of the initial courses. Since then, the Rwandan team has taken the leadership of this course and continues to train anesthesia providers across the county. The course has been successfully run in Rwanda four times since January 2013, training nearly 200 participants. Read more [PDF - 1.5MB]. Dr. Patty Livingston, Medical Director of Global Health, led the establishment of the School of Medicine Simulation and Skills Centre at the University of Rwanda, the first of its kind in that country. The Centre promotes and enhances patient safety and effective clinical care through experiential learning and simulation-based education, teaching technical and non-technical skills in anesthesia, surgery, obstetrics, pediatrics, internal medicine, emergency medicine and nursing. Since it opened in 2013, it has been a hub for medical simulation training, hosting more than 3000 learning encounters in numerous educational programs. Learn more. Anesthesia for Global Outreach is an annual four-day course that focuses on novel techniques and equipment for delivering anesthesia care in underserviced environments – the conditions under which 80% of the world’s anesthesia care is delivered. Dalhousie hosted a highly successful course in May 2015, welcoming faculty and participants from Canada, US, Australia, New Zealand, Kenya, UK, and Rwanda. The next Anesthesia for Global Outreach Course will be hosted at the Boston Children’s Hospital from October 26-28, 2018. For more information, please contact info@anesthesiaglobaloutreach.com or visit anesthesiaglobaloutreach.com. The Bethune Round Table (BRT) was hosted at Dalhousie University, June 3-4, 2016. The Department of Anesthesia, Pain Management and Perioperative Medicine, in collaboration with the Departments of Surgery and Obstetrics & Gynecology as well as the Canadian Network for International Surgery (CNIS), led the development of this exciting conference. The BRT is an annual interdisciplinary scientific meeting hosted at Canadian academic centres to discuss the challenges and solutions to improving surgical care to underserviced and marginalized populations in low- and middle-income countries. 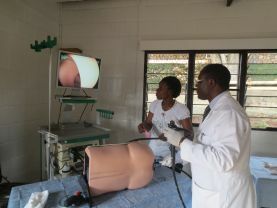 The objective of the BRT is to bring together health professionals from a variety of disciplines, including surgeons, anesthesiologists, obstetricians, pathologists and nurses, as well as public health and government health workers, to share their research and experiences in the delivery of surgery in low-resource settings. The 2017 theme is "Evidence Based Global Surgery – Advancing Education, Research, and Advocacy". Visit BethuneRoundTable.com, for more information about the current conference, or visit the 2016 website archive.